Here’s a chance to order your entry programmes for THE EVENT of the YEAR!! 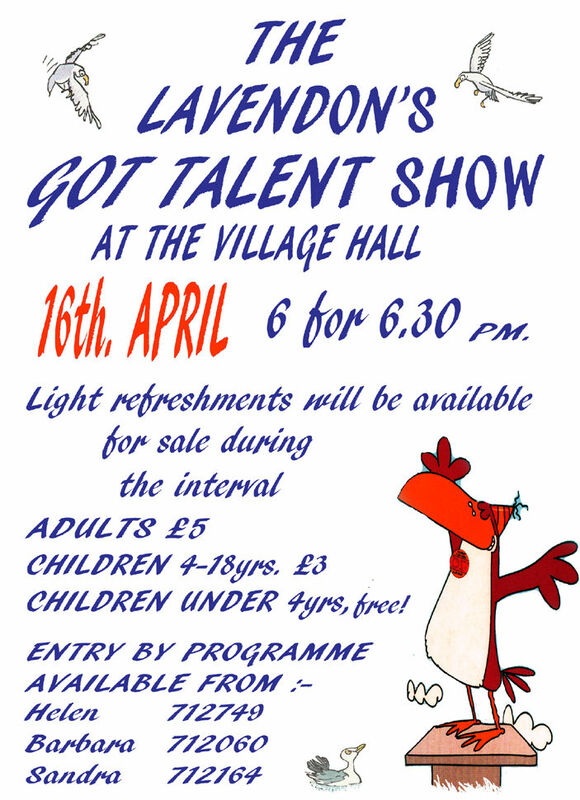 We have a really good line-up from a wide range of acts by performers ranging from age 6 to 60+. Why not book your seat for the event now?! Posted on Wednesday, 30 March 2016 by Editor •	This entry was tagged Events, Village Hall. Bookmark the permalink.